Welcome to the 76th video of this incredible series from Toyota celebrating the back roads of Japan and the Toyota 86 (Scion FR-S and Subaru BRZ to North American viewers). We remain amazed by this series: each video is shot as a labor-of-love, with careful cinematography and locations chosen from scenic roadways across Japan. 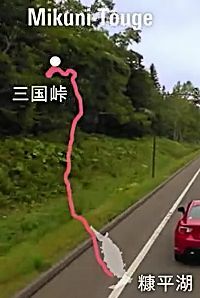 If you’ve ever thought of taking a driving tour of Japan, these videos are your guide; if you are interested in Japan itself these videos will show you byways and small towns that you’d certainly never get to see. And then there is the Toyota 86, an ever-capable sports touring machine. We never see the drivers, but we do see the car driving across these roads and to the credit of Toyota the scenery is as much or more the star than the car is. These videos are not commercials, they are the sights and sounds that we would experience if we were there ourselves and driving the 86. And as a special bonus, each road trip ends up at a restaurant, store, or craftsman shop representing the specialty of the region.